The clouds were approaching like an undetected storm. The most anticipated day of my sophomore year finally arrived: it was the expedition to Altos de Chavon, the captivating village featuring decorative ironwork, antiquities, and enchanting buildings. I was, by turns, anxious, desperate, and amazed, thinking about all of the activities awaiting me, and the fun I would have there. Every time I had entered this colonial place in the past, I felt enthusiastic and astonished while looking at the wonderful stone architecture. You could tell how I felt by looking into my eyes, which glittered like fireflies. 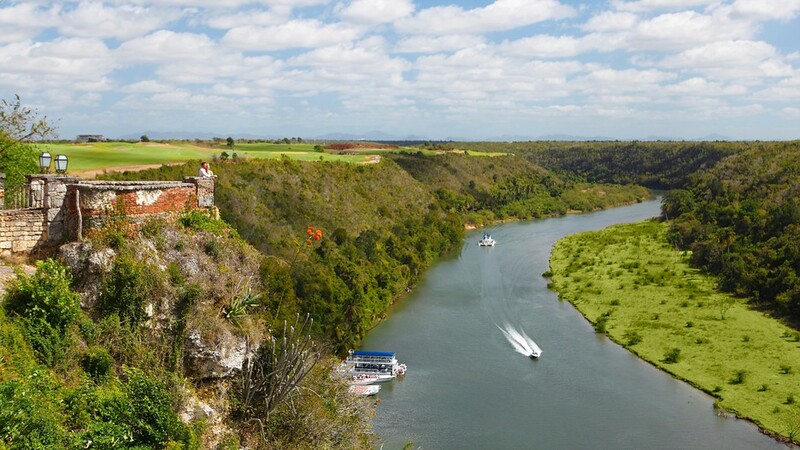 The enjoyment of playing hide and seek, swimming in the pool, and playing baseball at Chavon reminded me of some of the most meaningful moments of my younger childhood. I was standing on the corner, waiting for the school bus, when these vivid images came back to me. I was re-living each moment as if it was the present, surfing through time in my mind. Suddenly, I opened my eyes and saw the school bus arriving. I ran as soon as I saw the bus in order to grab a seat in the back. On our way, we all started singing, cracking jokes, and making fun of the teacher’s corny stories. We started dancing to our favorite merengue artist, Raulin Rodriguez “Tanto que la quería, y por otro me abandono, ay Dios, ay Dios” while also preparing our toothpaste, pancake syrup, and lipstick to smear on the faces of friends who preferred to sleep. We then started taking pictures of the best couples. Girls and boys both got crazy on this 3-hour trip. Bus rides make teenagers hyperactive. I heard my classmates calling Arturo, Arturo, Arturo, come over here, lets run from this garbage can up to the big rock in the middle of the flower beds. This was my friend Roberto, along with another six of my best friends. He told me, This is the deal. If I win this race you have to run the entire garden, only in your underwear. I told him, Fair enough; but if I win you have to shout out, start running, and behave like an idiot all day long. At this point the deal was set. Even though I was afraid of racing, I confronted my fear. And I won that battle and the race. This is when my friend Roberto started running, and yelling through the garden. Even though the deal had only been made with him, we all started yelling and running, because it was hilarious. Roberto and I were playing as innocently as new born children, running around in circles like dogs trying to catch their own tails, unable to speak, unable to express ourselves, when the storm approached. Our excited faces started to change as if we were in a slow motion video. This was how we looked at each other when we were surprised by a couple of armed men. We were not fully aware what was happening. We started to yell to each other, and ran throughout the gardens. There is no other way to explain the self-control people need to have while they are in this place. We were just too wound up. As a result, we were facing Chavon security. I felt ashamed, as did my classmates. We were pushed up against a wall as if we were gangsters. They started checking our backpacks, looking for firearms and other illicit material. It was hideous how they threatened us for having fun. I was afraid, because they looked like lunatics as they manhandled us. They didn’t care at all that we were underage students. They were screaming, and telling us if we can’t behave in this place, we would have to go. My friends and I didn’t know the importance of the gardens in Chavon. They symbolized the heart for the village, transmitting the beauty of Mother Nature, and the reason for the village’s existence. This is a place where nature abounds, and the fields represent the people, the beauty of the whole island, and our pride in being Dominican. After this incident, my history teacher, Agueda Johnson, decided that we had disrespected the school, and her. We were wearing the school uniform that day, and had broken school policy, which prohibits students from misbehaving in public while in uniform. As a punishment, she dropped our grades for the semester, and we were not allowed to participate in any school activities for the rest of the year. Our much-anticipated trip was crushed by few a minutes of fun. We didn’t enjoy the rest of the day. We were the black sheep. The other part of the class did not want to be around us. They were embarrassed, and this rejection was like a wrecking ball to our stamina. We were not excited anymore about being there, and at the end of the day, we could not do what we usually did when leaving this luxurious place of happily playing back the vivid moments of the day in our heads.